Dr. Daniel D. Gregory was named Provost and Vice President for Academic Affairs effective March 2019 after serving as Interim Provost and Vice President for Academic Affairs since June 2016. Dr. Gregory acts as the university’s chief academic officer and serves as the institutional leader in the president’s absence. oversight of its academic programs, research, global programs, enrollment, and student affairs. Dr. Gregory, who holds a doctorate in physical organic chemistry from Iowa State University, was first hired in 1999 as Assistant Professor of Chemistry. In 2006, he was named Chair of the Department of Chemistry, a position he held for three years. In 2009, he was Interim Assistant Vice President for Research and Sponsored Programs. In 2010, he was Interim Associate Provost for Research/Dean of Graduate Studies. Following a national search, he was named Associate Provost for Research/Dean of the School of Graduate Studies in 2011. In 2014, Dr. Gregory was named Dean of the College of Science and Engineering where he created partnerships with science-based business and industry. He has shown leadership of the College of Science and Engineering and the School of Computing, Engineering and Environment, through a period of significant change and development, including the opening of the Integrated Science and Engineering Laboratory Facility. 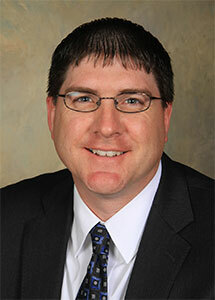 Dr. Gregory earned his bachelor's degree in chemistry with honors from Southwest State University, Marshall. During his graduate study at Iowa State University in Ames, Dr. Gregory earned the Proctor and Gamble Excellence in Research Fellowship, the National Science Foundation's GAAN Fellowship and the Alpha Chi Sigma Excellence in Research Award. View Provost Gregory's full curriculum vitae. If you would like to know more about the Interim Provost or to invite him to your event, please contact us or fill out the meeting/event request form.